Fukagawa Shichifukujin(Seven Gods of Good Fortune) is enshrined in three Shinto shrines of Morishita Station, Kiyosumi-Shirakawa Station, Around Monzen-nakacho Station and four temples. Also, a lot of venerable shrines and temples and historic spots are full of the moving highlight including mall where individual store links the eaves other than shrines and temples where Shichifukujin(Seven Gods of Good Fortune) is enshrined by roadside as stables of sumo line up. 7, Kameido Fukugami is enshrined in three Shinto shrines around Kameido Station, Kameido-Suijin Station and three temples. 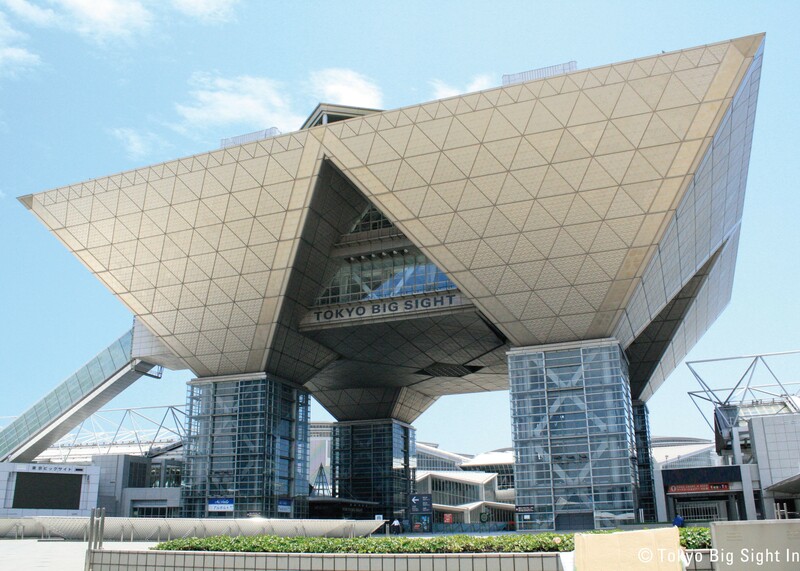 Also, a lot of venerable shrines and temples and historic spots are full of the moving highlight including mall where view spot of Tokyo Skytree ® and store of nostalgic look of a shop link the eaves other than shrines and temples where Shichifukujin(Seven Gods of Good Fortune) is enshrined by roadside. In the Edo era, expert in the art of playful verse, Matsuo Basho leaving many apt remarks and accounts of a trip was active based in hermitage of Fukagawa, and magnificent trip of "Oku no Hosomichi" began from this ground. 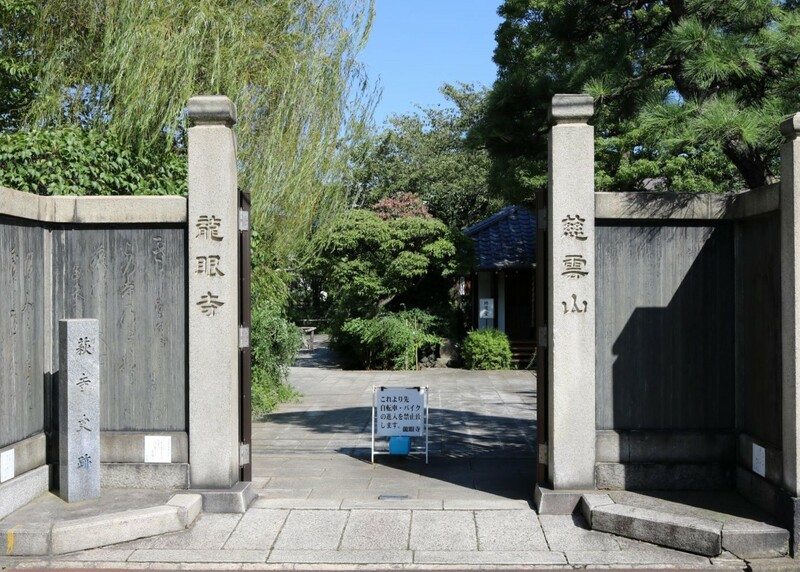 Therefore a lot of historic spots concerning Basho are left in Fukagawa neighborhood. You take a walk through the ground related to Basho, and would you like to think of great man of going charges? 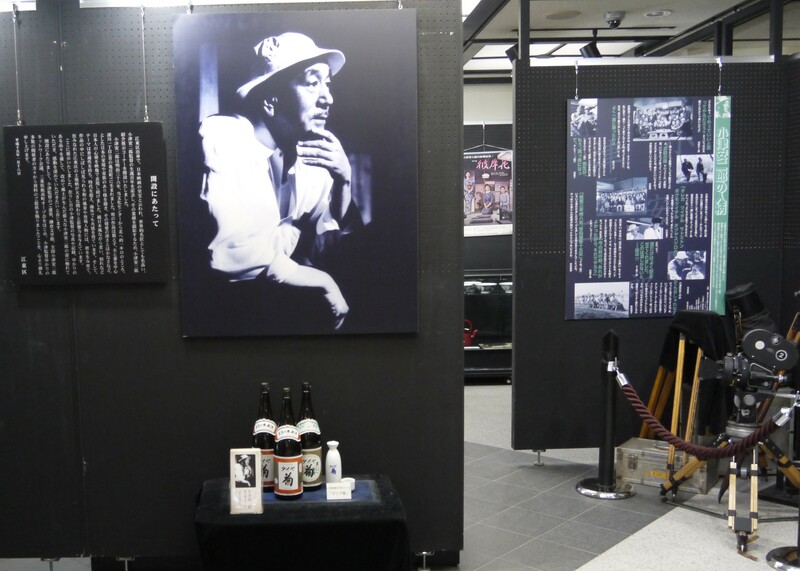 Koto City produces painter, comic artist, many celebrities including haiku poet including politics. Business that they worked on and work which we produced were very novel in those days. How about following their footprint which can say that we changed history? 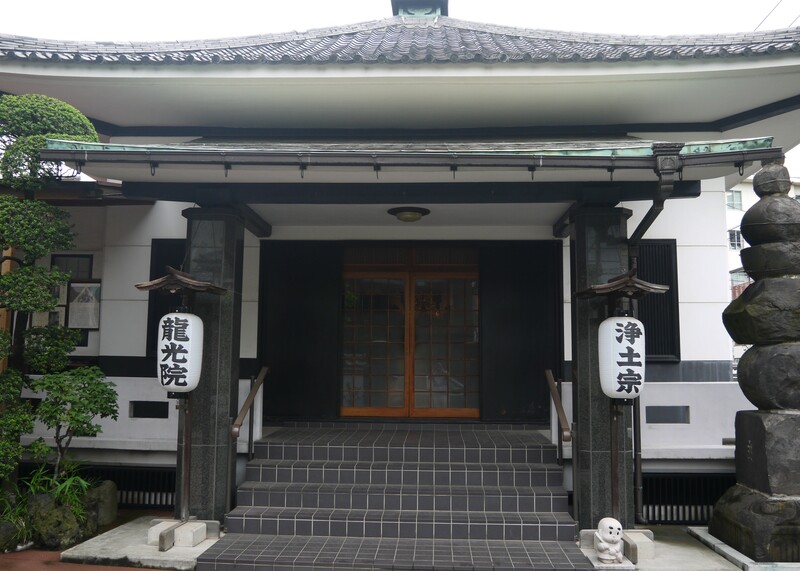 Museum and Shinto shrine, cultural assets conveying state of Edo in now are left in Koto City. You wait, and please enjoy walk while reading history. A lot of precious document and buildings conveying state of Tokyo of modern times (the Meiji Restoration - Pacific War end) remain in Koto City. Daily life that changes after the Meiji Restoration rapidly. And it fights in earthquake disaster. It is touched when we imagine thought of people who lived in the times of turbulence. 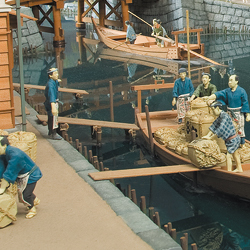 Koto City that waterways such as river or canal run in length and breadth. 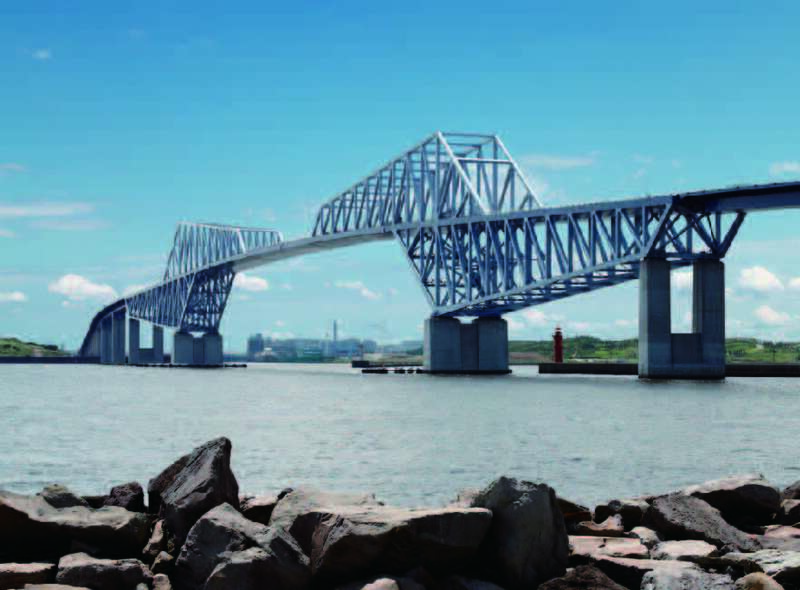 Bridge of 130 or more in big things and small things is built how in ward. 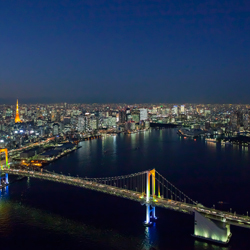 "Tokyo Gate Bridge" with nickname of dinosaur bridge is famous, but, in addition, it is individual, and, "Kiyosubashi Bridge that "Eitai-bashi Bridge" of powerful form and light up are beautiful," there is bridge full of charm in Koto City still more. 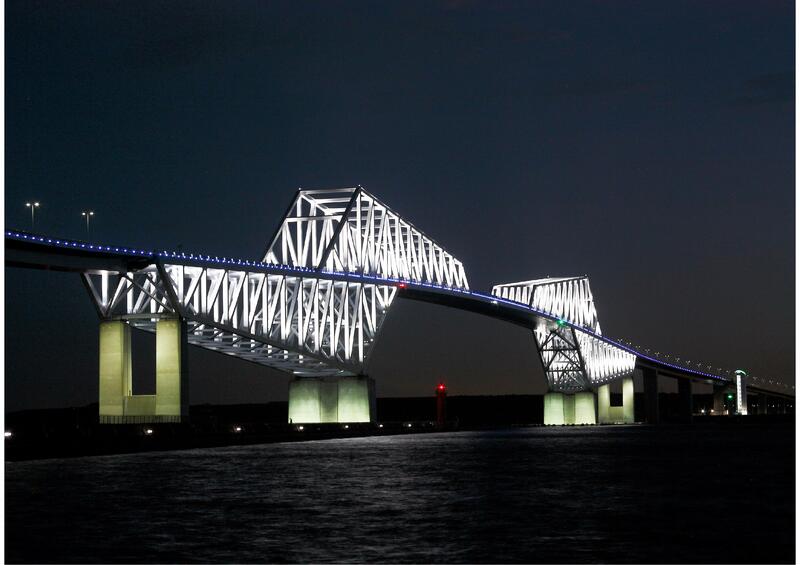 Do you not look for favorite "bridge" only for you? 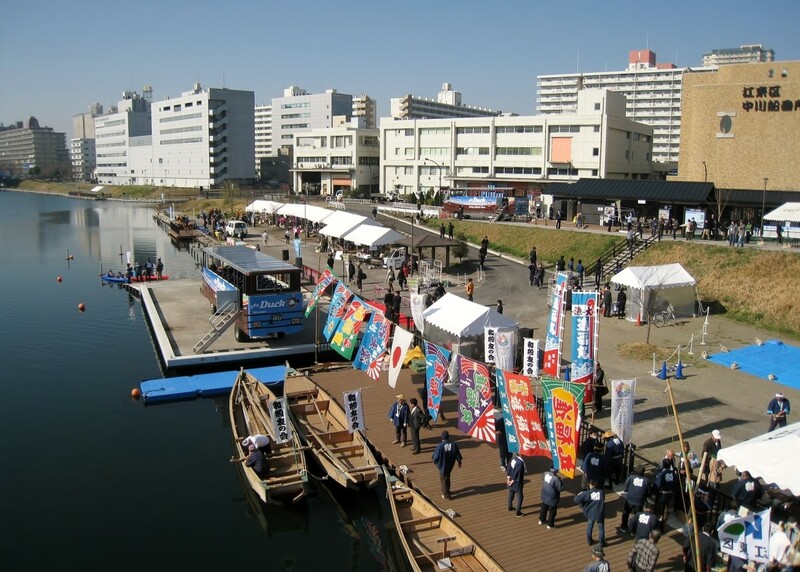 Koto City has a lot of ways of enjoying only by city of attractive waters. We make the embarkation (ride) to walk and Japanese-style ship of waterside and amphibious bus, and what we cannot readily experience can enjoy casually in city. It is healed in waterside, and would you like to refresh everyday fatigue? Koto City has river and canal of 19. We introduce special spot that we cannot readily look at in that in other areas either. Please enjoy scenery only by city of attractive waters, Koto City. 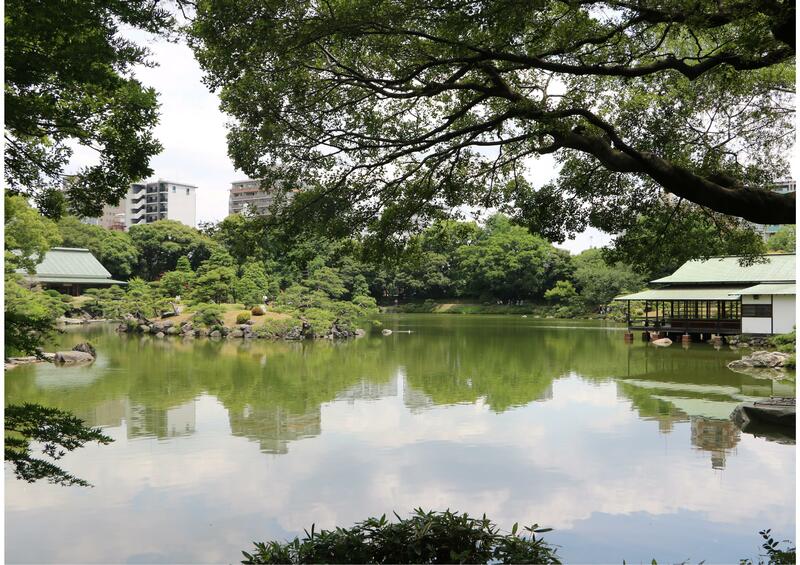 It is characteristic of Koto City that there are many parks utilized waterside space. We can enjoy flavor of flower which fades every season, and goes and scenery of waterside. Please enjoy various ways of enjoying including date to enjoy walk, night view leisurely to feel season in families. We spend leisurely time while looking at the sea in Koto City, and there are many group and spots that we can enjoy noisily. We enjoy the sea breeze and green, flavor of flower to change by season and swell at event and. How about looking for way of enjoying for oneself at favorite spot? 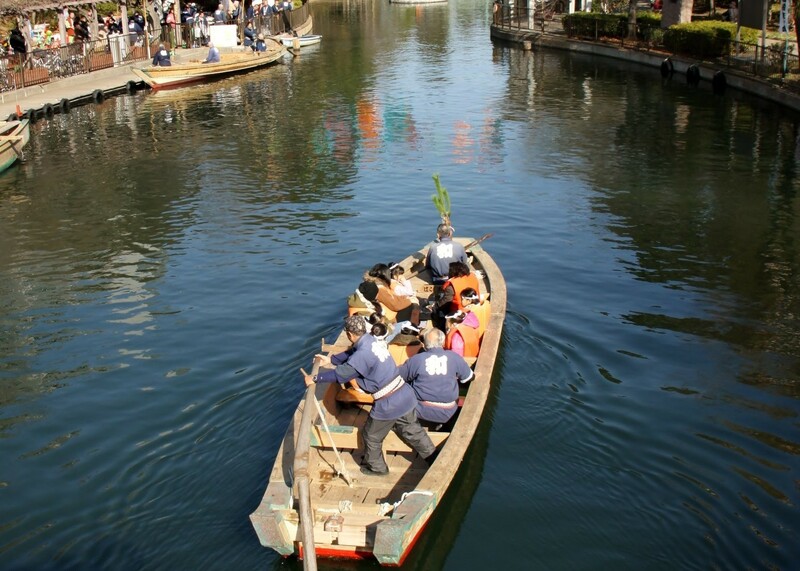 We maintain canal in the Edo era, and Koto City which developed as base of distribution is area with relations that are close to ship. 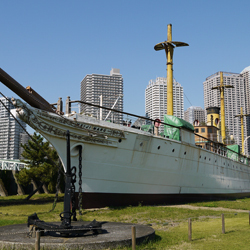 Please enjoy various faces including "Urban dock La La Port Toyosu" which can enjoy light up and night view utilized ruins of former shipyard from spot that can feel history of ships such as existing our country oldest sailing boat "Meiji maru" or "Nakagawa Funabansho Museum". From traditional spot full of downtown area taste to the latest tourist attraction becoming topic in Japan, we introduce 7 recommended spots becoming topic in Koto City now. Koto City has many spots used as location. 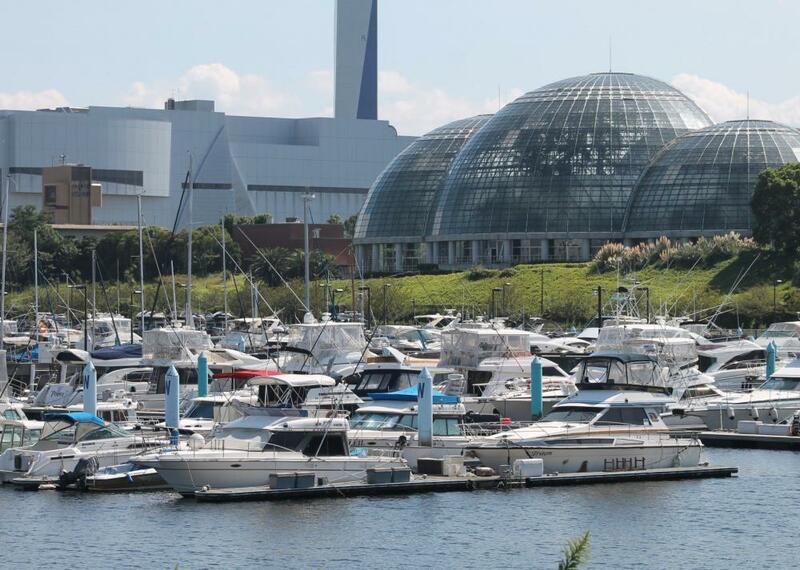 Including scenery of rich waterside that seems to be building which can feel history and tradition, facility where is modern, and individuality shines, "city of attractive waters" shooting is performed for the purpose of various. We find location of curious work and photograph and make, and how? Fukagawa, Joto Area has many night view spots in connection with river. 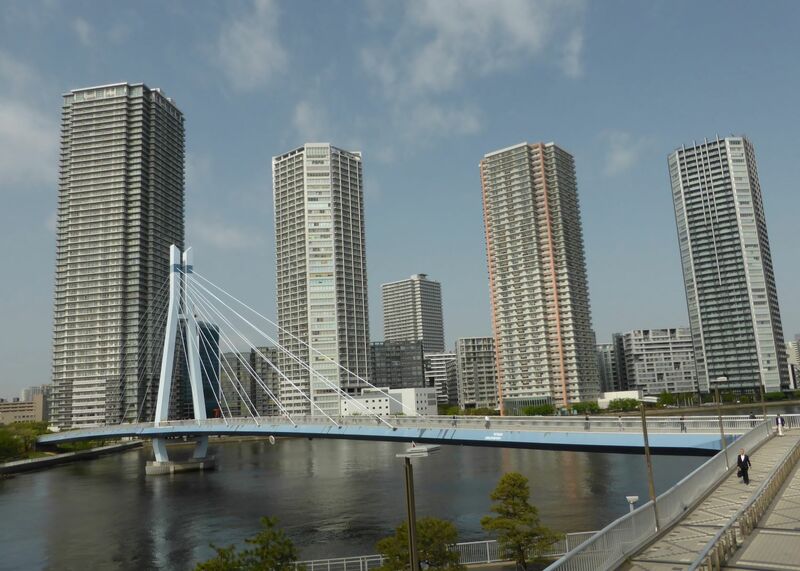 3 bridge of "Eitai-bashi Bridge" is built over the Sumida River in particular "Kiyosubashi Bridge" "Shin-ohashi Bridge", and appreciation while we walk riverside is recommendation. 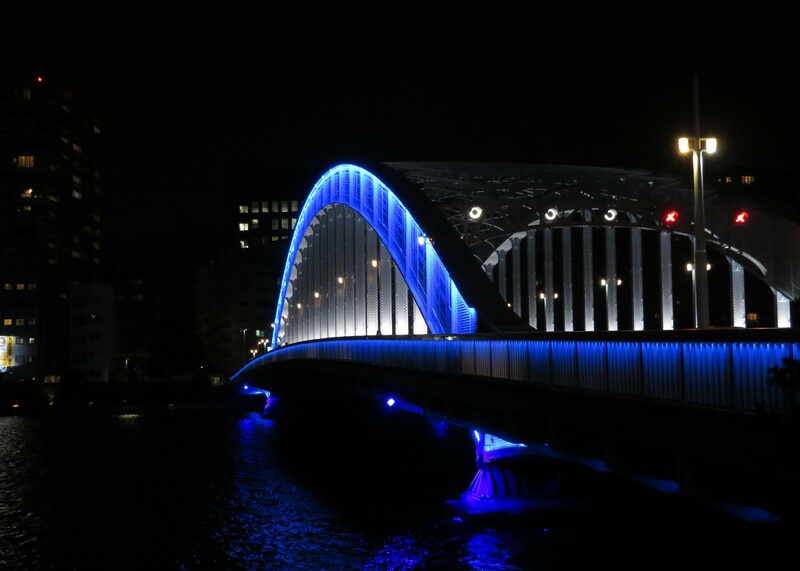 Unique-shaped bridge is lighted up, and state to be reflected in the surface of the water is must-see. Rinkai Area which neo-futuristic scenery seeing bridge and building group lighted up, Tokyo Bay can enjoy is perfect night view spot. As shopping entertainment facilities are substantial areas, in the case of shopping and meal, why don't you make a tour of night views leisurely? Tasteful building of history and building novel newly coexist in Koto City. We can feel challenge and innovativeness from new building to beauty from old building in history that came through war and earthquake disaster. You wait, and why don't you enjoy walk for sense surrounding gallery? Koto City is sumo and deep land of great connection. Sumo encouragement of new industry of the Edo era began in Kyoto, Osaka, but there was ban in a lot of troubles. Ban relaxes, and it is Tomioka Hachimangu Shrine afterwards that sumo of the Shogunate official recognition was held for the first time. Therefore sumo has many temple and stables of sumo with relationship. 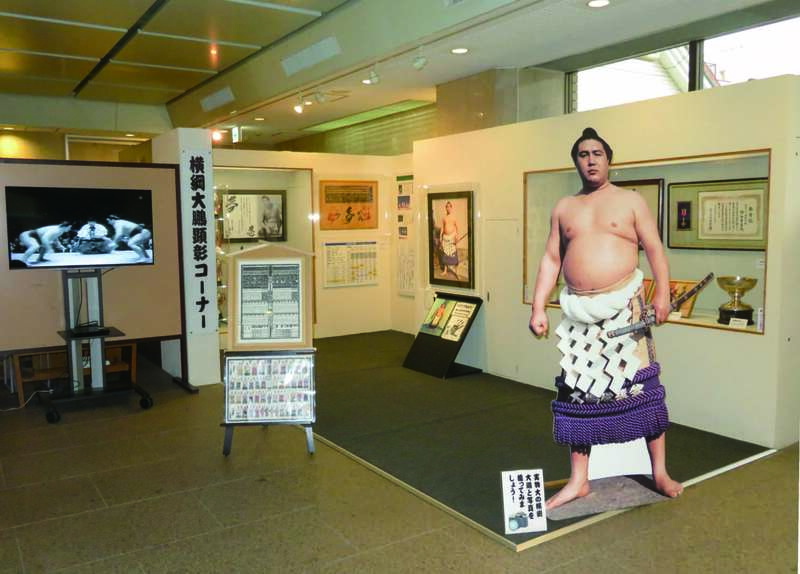 Why don't you go around history of sumo and room of sumo wrestlers played an active part now? Koto City has a lot of facilities which can enjoy BBQ (barbecue). Of course, as for outdoor senior, even beginner who wants to enjoy easily can enjoy full-scale BBQ as there is facility of empty-handed OK. Good access is Koto City Nara, too. In families between friends by couple. Please enjoy urban BBQ. In Koto City, there are a lot of facilities of various genres to be able to learn in spite of being pleasure in parent and child including experience-based facility and visit facility. Would you like to have you inflect by all means at opportunity of contact in parent and child of holiday? 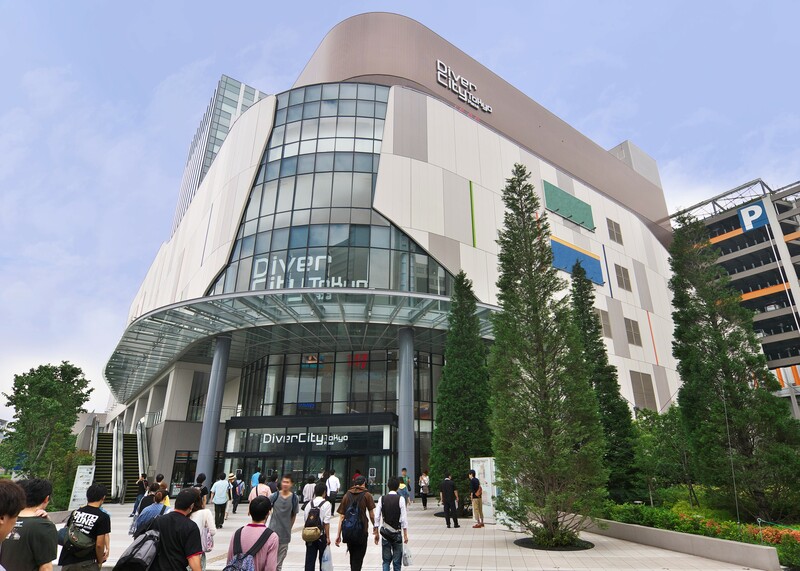 Koto City has individual mall many whom both adult and child can enjoy. You can enjoy enough just to look, but please feel human empathy of downtown area while talking with local people. Koto City has facility conveying spot using residual heat of garbage and sewage plant and importance of resources. With important person, we think about environmental problem, and how about visiting for the making of opportunity to talk about? 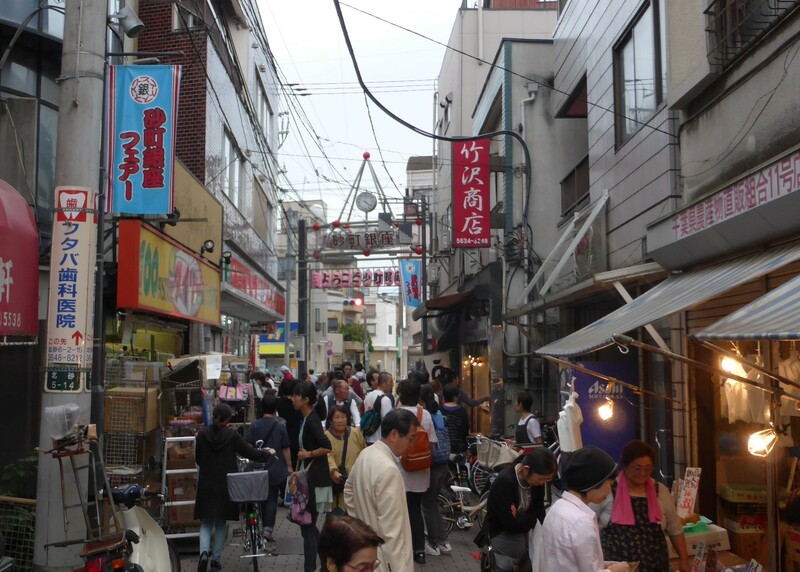 Koto City has shopping facility of various styles. 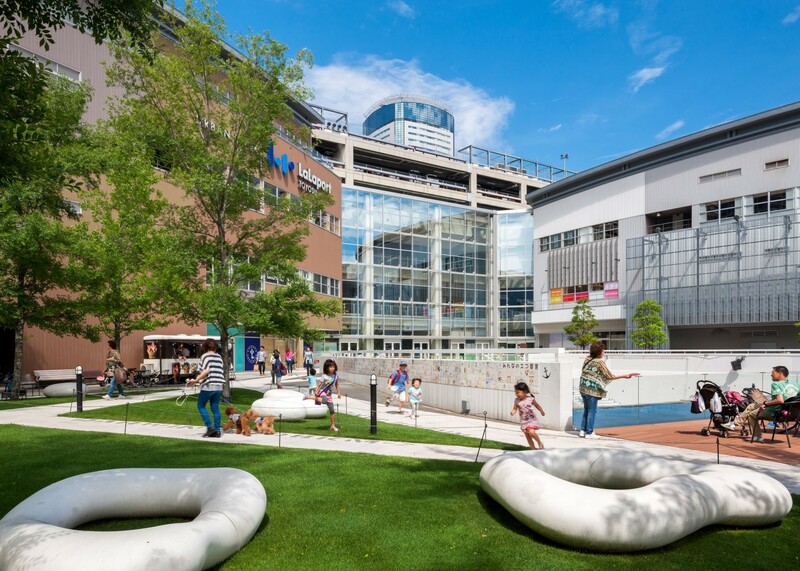 There are many shopping facility having high convenience that local people gather in Fukagawa, Joto Area, futuristic large size facilities which entertainment can enjoy in Rinkai Area. As there is small facility which is reliable with children let alone friends and couple, family can enjoy all together. With family and friend! Even a great number of people introduce entertainment facility to be able to enjoy. Let alone events such as live or exhibition, you can enjoy professional wrestling and martial art, a great variety of entertainment including hot spring. You get friend together, and please go out. Area of Tokyo Metro Hanzomon Line, Toei Shinjuku Line "Sumiyoshi Station" neighborhood. 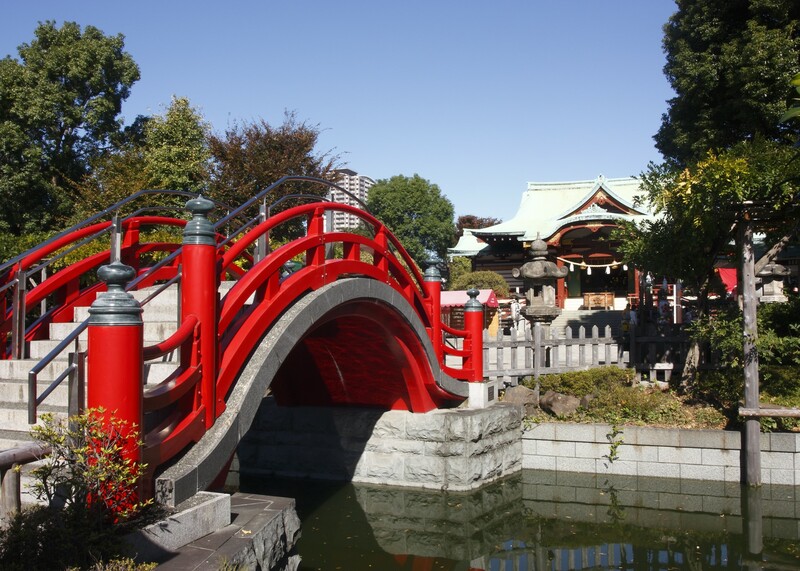 Concert or ballet are staged in a certain Tiara Koto in Sarue Onshi (Imperial Gift) Park through the year. 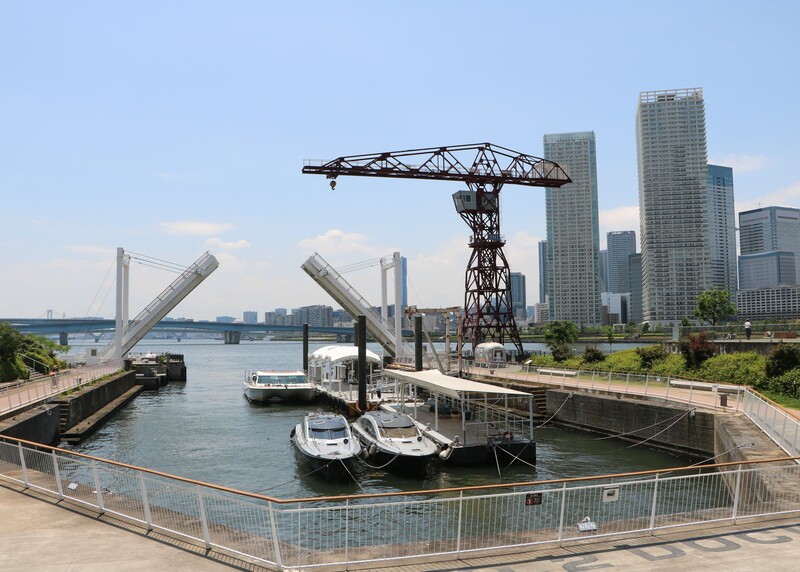 In facility almost "mini-Panama Canal", tour to make a round trip of Koto inside river by sightseeing ship through this lock is held, and Ogibashi Lock Gate which is almost located in the center of Onagigawa River excavated early in the Edo era is recommended. Area of Toei Oedo Line, Toei Shinjuku Line "Morishita Station" neighborhood. 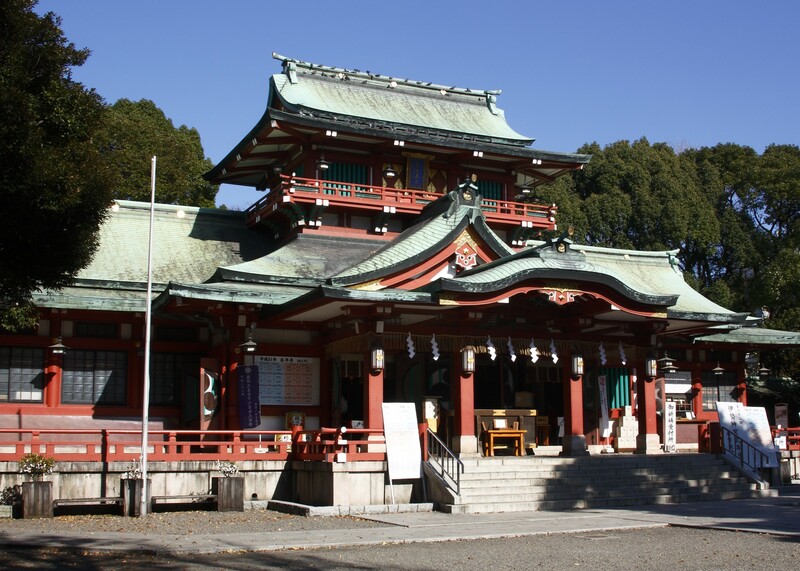 In land where development originated in Fukagawa Area from the earliest time, Fukagawa Shinmeigu Shrine is famous as The birthplace of Fukagawa. It is said that there was Basho hermitage where Matsuo Basho lived in in the neighborhood of Mannen Bridge appearing to many ukiyoe prints, and walk to rotate in conjunction with the ground related to Basho, besides, to be dotted with in ward is recommended. Area of Toei Oedo Line, Tokyo Metro Hanzomon Line "Kiyosumi-Shirakawa Station" neighborhood. 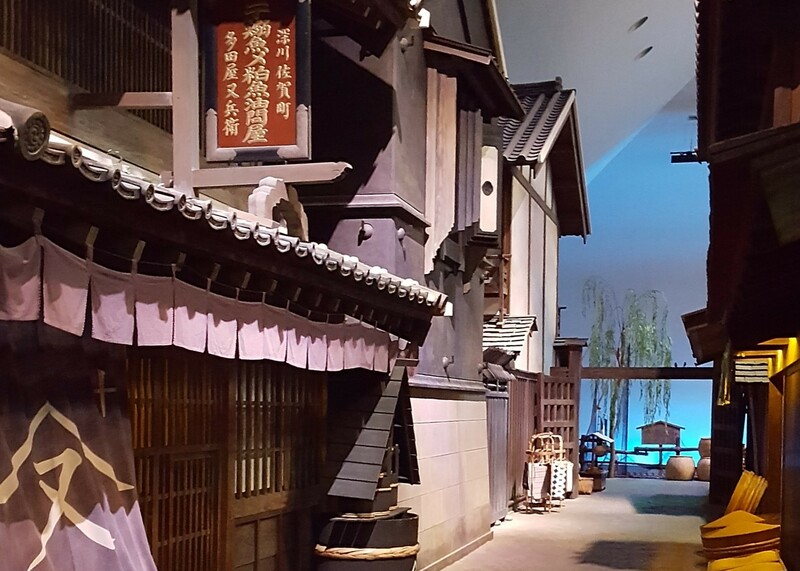 We recommend you enjoy Fukagawa Edo Museum, a reproduction of Fukagawa's townscape in the Edo period, together with walking around to view scenes of Fukagawa-teramachi. 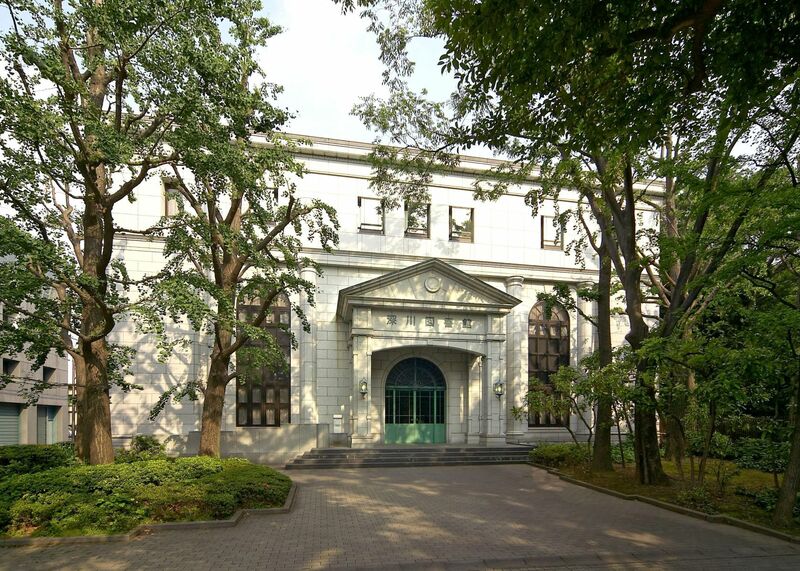 We also recommend that you enjoy walking through an area of new and old cultures by touring structures built in the early Showa Era, such as Former Tokyo cityl House for store adjacent to Kiyosumi Gardens, designated as the first place of scenic beauty in Tokyo, and galleries along Fukagawa Shiryokan-dori toward the Museum of Contemporary Art Tokyo. Area Near Monzen-nakacho Station on the Toei Oedo Line/Tokyo Metro Tozai Line and Etchujima Station on the JR Keiyo Line. Many people gather at Tomioka Hachimangu Shrine. It is famous for the Fukagawa Hachiman Festival, which is one of the three major Edo festivals, and for the fairs at Fukagawa Fudodo Temple, which holds impressive rites where sticks are burned on the 1st, 15th, and 28th every month. Fukagawa Tokyo Modern Museum, a tourist guide facility that utilizes a National Registered Tangible Cultural Property, offers a free town guide tour every day except for the days it is closed. We recommend it so that you can visit surrounding tourist spots while listening to stories from the expert tour guides. Tokyo Metro Tozai Line "Kiba Station" neighborhood, area of "Toyocho Station" neighborhood (the west). "River-conveyance lumberjack of Kiba" who is traditional arts that developed as yogei of craftsman carrying wood by Koto Citizens' Festival center festival held in Kiba Park every year at place that we have timber yard in the Kiba Park whole area until late years from the Edo era, and prospered as town of wood industry in October is shown and attracts many people visiting. Walk in around March when flower which is white all at once at place that is rare in Tokyo where a large number of yulans are planted blooms is recommended to "promenade of the sea breeze" along the tide beach canal flowing through the south side of Toyocho Station. JR Sobu Line, Tobu Kameido Line "Kameido Station," it is area of Tobu Kameido Line "Kameido-Suijin Station" neighborhood. Kameidoten Shrine, as well as a number of temples and shrines for Kameido Seven Deities of Good Luck, is located in this area. It is recommended to walk around, enjoying seasonal flowers such as wisteria and plums blooming everywhere. 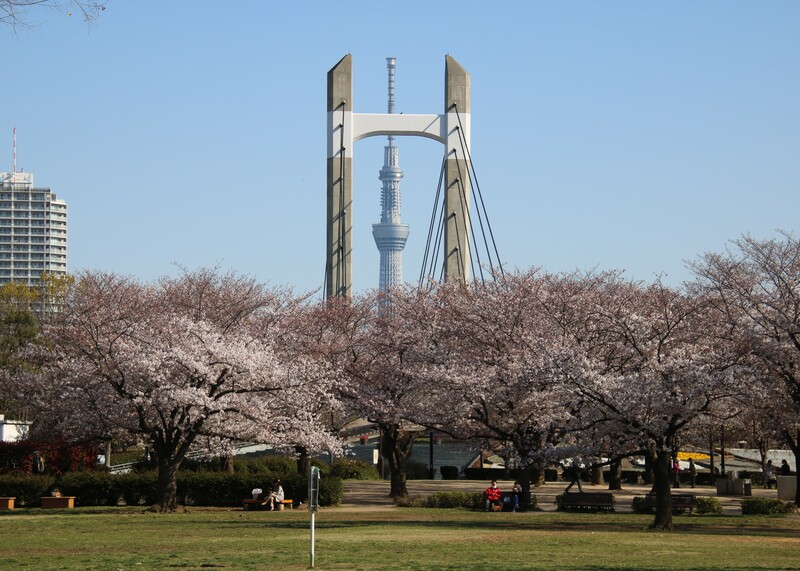 You can also enjoy walking to Tokyo Skytree. Kameido Umeyashiki has specialties of the Kameido area. It is a highly recommended spot to stop by while on a walk. It is area of "Higashi-Ojima Station" neighborhood "Nishi-Ojima Station" Toei Shinjuku Line "Ojima Station". Promenade along Kyu-Nakagawa flowing through bottom of Higashi-Ojima Station that is station on rare river forgets that we are in Tokyo and is quiet and is recommended walk spot nationwide. 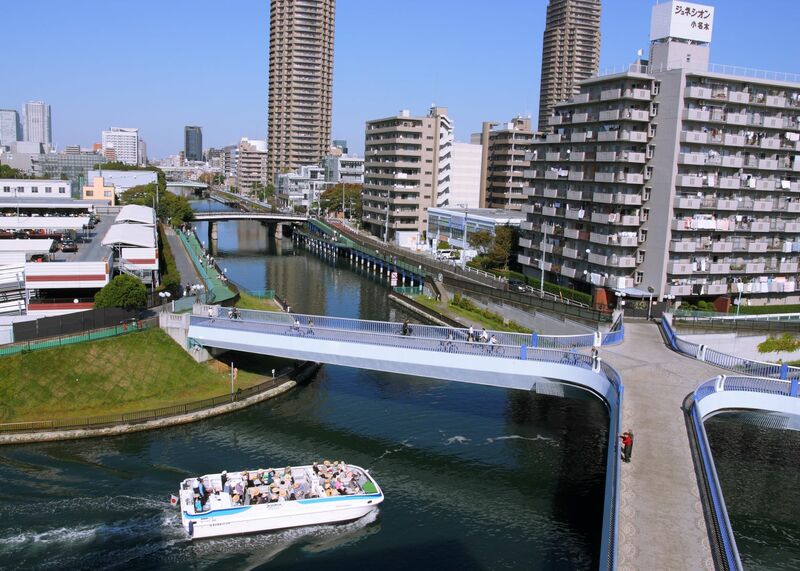 In Former Nakagawa river station located in Kyu-Nakagawa and the junction department of Onagigawa River, daily life can approximately see figure that amphibious bus "sky duck" is launched like a brick in river. We can touch downtown area human empathy nationwide while doing shopping in Sunamachi Ginza Shopping Street having high popularity happily. Metropolitan bus is recommended to access. Tokyo Metro Tozai Line "Minami-Sunamachi Station" neighborhood, area of "Toyocho Station" neighborhood (the east side). Sendaiborigawa Park which Former residential house of Oishi family which is the oldest private house existing in ward is located is full of many people in spring as famous spot of cherry tree. 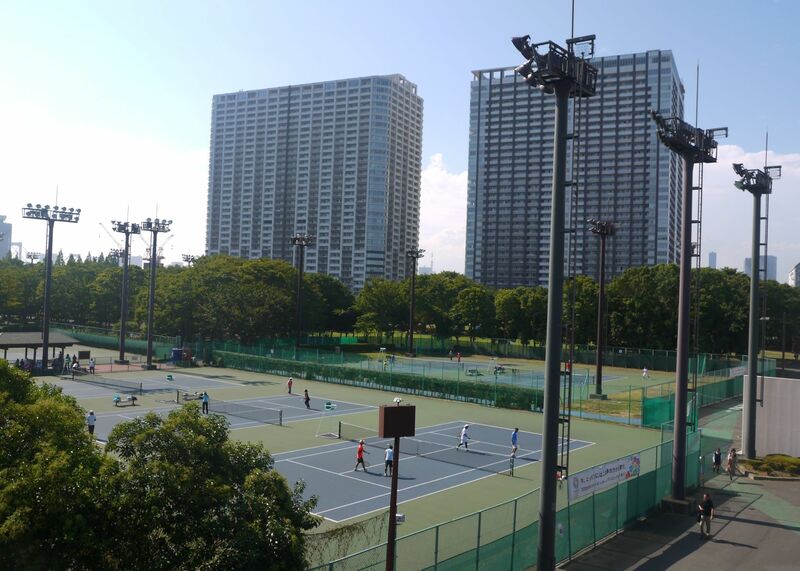 Around Minami-sunamachi Station has two supercenter, and various events are held mainly on holiday and are recommended to outing in families. Area of JR Keiyo Line, Tokyo Metro Yurakucho Line, Rinkai Line "Shin-Kiba Station" neighborhood. Tokyo Gate Bridge opened in (2012) in 2012 is also called "dinosaur bridge" from the figure and is recommended outing spot that we can look around to Mount Fuji from the sidewalk on Tokyo Skytree (R) and seaside newly developed city center, day when it cleared. 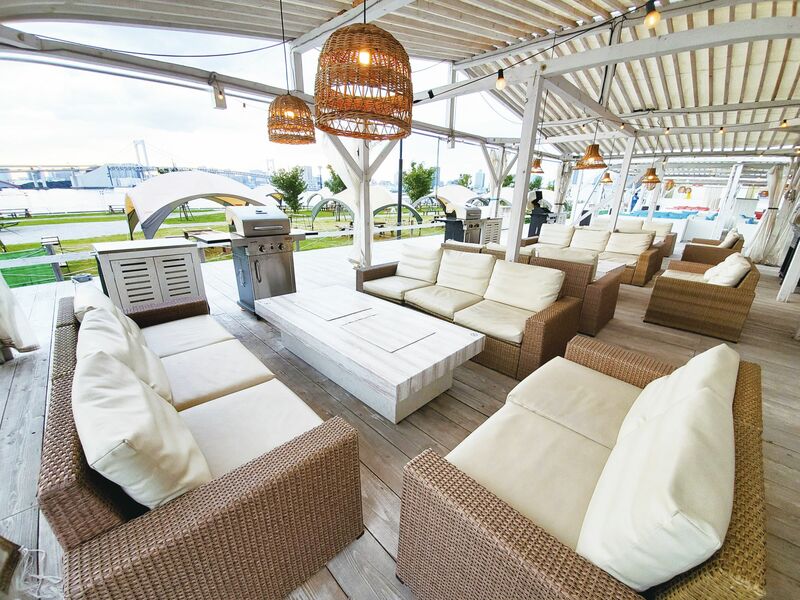 In Wakasu Seaside Park, Wakasu Park spreading through step of Tokyo Gate Bridge, it is camping and golf, leisure such as fishing and area that even family and friends, couple can enjoy in addition. Tokyo Metro Yurakucho Line "Tatsumi Station," it is area of Rinkai Line "Shinonome Station" neighborhood JR Keiyo Line "Shiomi Station". International meeting is held, and many people visit Tatsumi-no-mori Seaside Park near the Tokyo Tatsumi International Swimming Center which visits famous player at eminent cherry blossom viewing spot in ward where cherry tree is in full glory with Midori Mori way park of Tatsumi approaching in season of cherry tree. 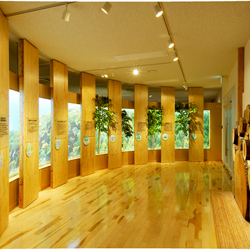 Many events and workshops are held every month, and Koto City environment learning building Ekokkuru Koto is environmental facility wanting you to visit by all means which we can learn although being a pleasure. Area around Tokyo Metro Yurakucho Line / Yurikamome Toyosu Station / Shin Toyosu Station / Ichibamae Station. Gas Science Museum is a recommended spot for going out as a family, because entry is free and it includes various hands-on attractions. 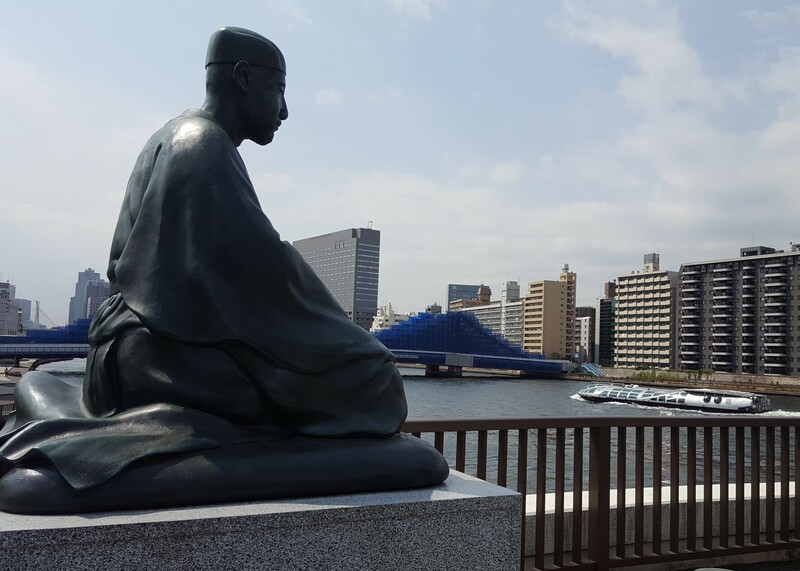 Toyosu Park and Harumibashi Park are spots near water suitable for a walk where you can enjoy the nice view of Rainbow Bridge throughout the year. Tokyo Bay/Suimida River cruising on a tourist ship departing from the water bus stop at Lalaport Toyosu is also recommended. It is area of Rinkai Line "Kokusai-Tenjijo Station" neighborhood "Kokusaitenjijo-Seimon Station" "Ariake-Tennisnomori Station" Yurikamome Line "Ariake Station". 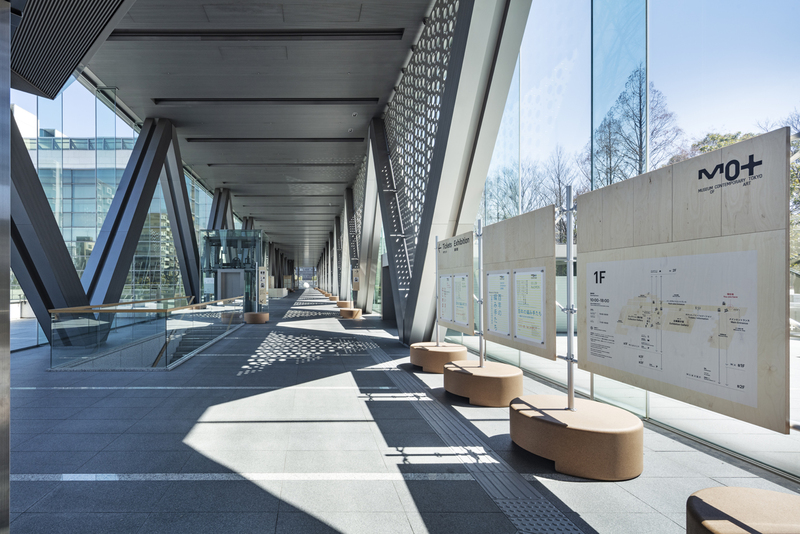 At The Tokyo Rinkai Disaster Prevention Park SONA AREA TOKYO, near Tokyo Big Site, which holds various events throughout the year, you can have a free disaster prevention learning experience. It is a great spot for the family to visit as it has different events held throughout the year, as well as free playground equipment in the park. We recommend that you enjoy it along with visiting museums such as RiSuPia, Tokyo Water Science Museum, and Tokyo Sewerage Museum "Rainbow". It is area of Rinkai Line "Tokyo-Teleport Station" neighborhood "Funenokagakukan Station" "Telecomcenter Station" Yurikamome Line "Aomi Station". 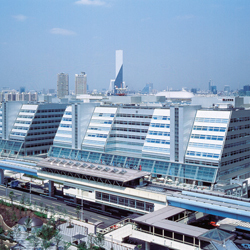 The big Ferris wheel of Palette Town and the observation platform of Telecom Center are great viewing spots from which you can have a full view of towns in Tokyo, including Rinkai sub-city center. The night view is especially beautiful and recommended. You can enjoy this area with your family or as a couple, along with its museum, shopping mall, and Ohedo Onsen Monogatari. 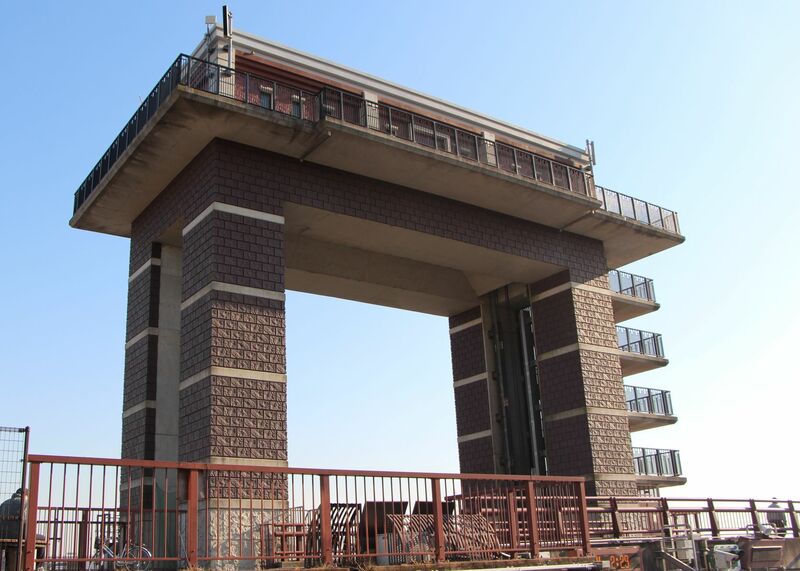 It is wish from Koto City Tourism Association to have you enjoy sightseeing, outing to Koto City comfortably. "We wait and recommend walk" for technique to have you enjoy charm of Koto City. We have spot to introduce to many of you in our page rotate and think that sightseeing in way sugaranomachinaka wants you to enjoy in addition. But people live unlike what visit facility made for sightseeing, and town walk (sightseeing in machinaka) is to visit place of life to work. Many people live in neighborhood of spot to introduce in our page and work. You litter with garbage to get into without permission in site looking into house which remains for a long time, and makes noise so that each other can spend time comfortably, and please do not do living person, act that is a nuisance to working person. We hope that we offer way to each other with other walkers without following traffic rules, and having you be careful about car and bicycles enough, and spreading to fill the way when we act in group. When the sidewalk where road and sidewalk with much traffic are small goes along road which is not established, please be careful in particular. "The regulations about prevention such as Koto City walk smoking" were enforced on July 1, 2009, and littering of cigarette was prohibition than before, but walking-smoking (including smoking while we ride bicycles) was in this way prohibited in the whole area in ward. Walking-smoking in designated time was prohibited in area that we appointed as "non-smoking important point district", too. For more details, please confirm in page (http://www.city.koto.lg.jp/380301/machizukuri/sekatsu/undo/45122.html) in Koto City official web site (you move to the outside site). We hope that we have you look after rule, manner of smoking. In our page, Shinto shrine Buddhist temple performing characteristic sacred rites again having precious cultural assets introduces much. We have many of you come and think that we want traditional culture that area protects and brought up to feel, but God and Buddha is worshiped holy place before Shinto shrine Buddhist temple is place to visit to observe cultural assets and sacred rites and is place of faith. When you enter the precincts, you nod, and please go and worship after saying hello. You stop in the middle of way in group, and please do not do act disturbing worship of other one. Day that came may fall on general Shinto ritual and Buddhist memorial service. Big in what disturb in the precincts; speak, and please do not make noise. We do not enter place of Closed to the Public not to be involved in in cultural assets, and I would like a certain good sense action. Please inquire whether you have you confirm on websites of each linking spot directly at each spot. Exit B2 of Kiyosumi-Shirakawa Station is exit for exclusive use of Tokyo Metro Hanzomon Line. Please use another exit on the use by Toei Oedo Line. ※For more details, please confirm in official web site of Tokyo Metro, Tokyo Traffic Bureau (you move to the outside site). The east exit of Kameido Station is exit for exclusive use of JR Sobu Line. Please use the north exit on the use by Tobu Kameido Line. ※For more details, please confirm in official web site of JR East, TOBU RAILWAY (you move to the outside site). Historic spot is place where there were important case or facility in history. As you are doing with address and access of place where explanation board and leveling pole explaining the historic spot in consideration of having you actually visit not address of historic spot itself are built, about "address" that you list when you introduce historic spot in our page and "access," please note.